No matter what type of business you’re in, one thing is certain: you’ll end up paying a significant chunk of your income to the IRS. Many individuals and business owners alike dread tax time, not just because they may owe additional money, but because of the complexities of filing correctly and the potential consequences of getting it wrong. Not everyone uses an accountant or CPA to file their taxes, but all of us are required to file correctly and on time. It’s a source of stress for many. In fact, 40% of small business owners agree that taxes, together with bookkeeping, is the most unpleasant part of owning a business. Whether or not you use a professional is up to you. However, there are several things that can help you keep your tax prep up to snuff either way. A few of the common mistakes business owners make with their taxes include overlooking self employment taxes, letting record-keeping slide, and failing to report income as stated on 1099s. There are many other oversights, but those are three of the biggest. Being familiar with all applicable tax forms is essential to accurate filing. If you fail to submit the proper forms, you’re likely to receive an unwelcome letter from the IRS — even if it’s years later. If you use contractors, you must use 1099-MISC forms. If you’re a sole proprietor, are you filling out a schedule C? The right paperwork for your situation will differ from someone else’s. If you’re unsure what to file, talk to a tax professional. Cost of goods sold (if selling products): inventory with dollar amounts (beginning and ending), materials and supplies, inventory purchases, etc. Expenses: office rent, computer equipment, mileage, hotels, advertising, internet service, depreciation, office rent, wages paid out (W-2 and W-3), employee benefits, and more. You’ll need receipts, bank statements, and other paperwork to document everything you claim. This is by no means a complete list, but it should give you an idea of what you’ll need to hold onto. In general, if it documents your business’ money, keep it. Better to have more than you need than miss something that could affect your tax liability or trigger an audit — or worse. 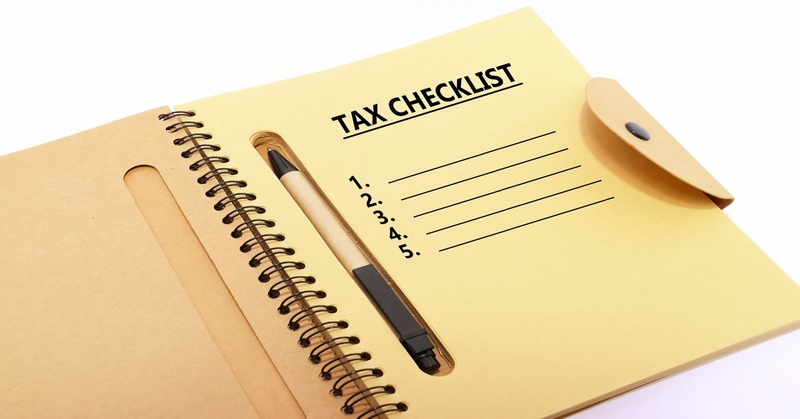 When it comes to tax preparation, you cannot be too careful or too prepared. This checklist is a starting point, but it’s always best to get some help from an expert. That’s why most small business owners choose to use an accounting service — at least for that April 15 deadline. It’s an up-front expense that can save you a lot of time, headaches, and money over the long haul.